Many students think of math as another graduation requirement to get through rather than a growing and changing field. However, those who take the time to delve into the subject find openings for research and inquiry that others may have overlooked. 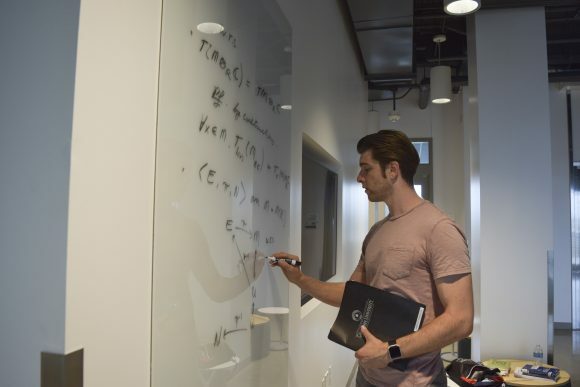 Such is the case with James Francese, a senior Mathematics and Philosophy double major who used his time as a SURF Fellow to research Bi-Quaternionic manifolds. Francese describes his research as combining algebra and geometry with Clifford analysis. Clifford algebra is the study of calculus over complex numbers, specifically the algebraic unit i that represents the square root of negative one – “fully generalized Clifford algebras come from taking an algebra consisting entirely of square roots of negative one and square roots of positive one.” Using geometric manifolds, spaces you can do calculus on, Francese takes “things that locally look like Clifford algebras” and is “studying certain spaces that are manifolds over Clifford algebras.” Small, local pieces can be patched together into these manifolds. Researchers who have done this before labeled them Quaternionic manifolds. Francese wants to take it a step further, to his newly proposed Bi-Quaternionic manifold. By imposing complex structures on manifolds, he can introduce complex structure on algebras that locally look like Clifford algebras. When he locally complexifies Clifford algebras, he complexifies Clifford manifolds. Though mathematicians have begun this path of research before, there are very few papers published on the topic, which made Francese interested in pursuing it for his SURF Fellowship. 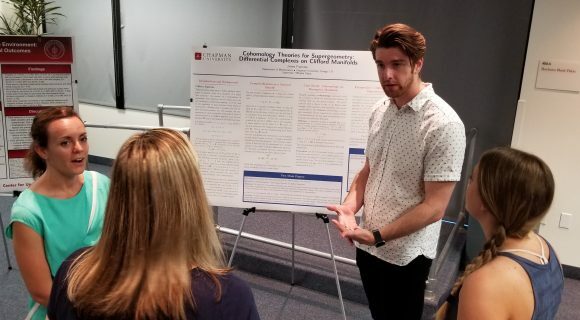 Throughout the summer, Francese’s project remained between him, his faculty mentor, Dr. Mihaela Vajiac, and a big whiteboard. Francese would bring papers and handwritten notes to the library and write out his ideas on the whiteboard, erasing things and perfecting them until he felt he could add them to the paper. He compares the process to drawing, with a similar cycle of writing and erasing, the process of putting down lines you slowly perfect. Due to the constantly changing landscape of mathematical theory, Francese is aware that his ideas may not stand the test of time. However, this project was completely his idea that he wanted to pursue, and he was not going to let the threat of becoming irrelevant deter him from his goal. He would rather contribute and be proven wrong than do nothing at all. 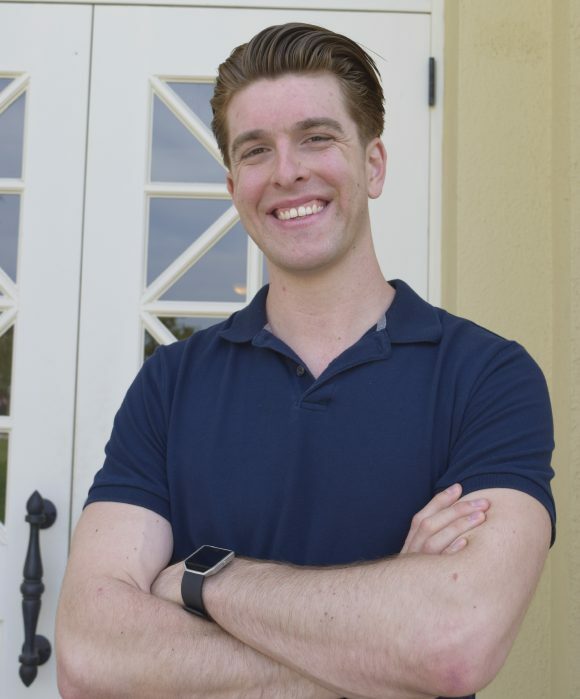 Francese intends to pursue a career in mathematics research after college. He has applied for a mathematics research Fulbright to the National University of Singapore, where he hopes to research computability theory. 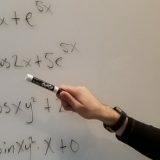 Since the end of the SURF program, Francese has also continued his work with Dr. Mihaela Vajiac on topics in hypercomplex differential geometry. In fact, he is presenting a talk on October 27 at San Francisco State University entitled “Cohomology Theories for Bicomplex-Type Structures on Manifolds.” Francese and Dr. Mihaela Vajiac are also currently working on “related topics for a second paper on so-called Kähler-type structures and holonomy for manifolds of bicomplex type. Essentially, we are studying the way special spaces twist and curve over very unconventional number systems,” which could find practical applications in modern mathematical physics, such as string theory. Though Francese found his home in mathematics and philosophy for his undergrad career, he describes getting there as a process of “suffering my way toward what I should be doing.” He started as an architecture student, but quickly found that “looking at your skills isn’t always an accurate way of determining what is fulfilling for you.” It was a fairly roundabout journey that him to mathematics research, but Francese does not regret it. Throughout our conversation, Francese could not say enough good things about the SURF program, and Chapman in general. 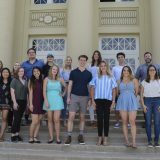 He says: “a lot of prestigious schools have platforms for undergraduate research, but they usually lack the creative freedom that the SURF program has let me exercise,” freedom that he is very grateful for. 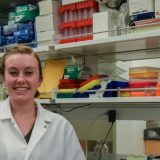 Are you curious about the research scene here at Chapman University? Be sure to follow and like the Center for Undergraduate Excellence on Facebook and never miss an opportunity to take your education to the next level!